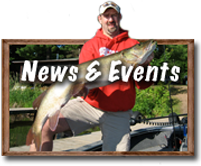 Follow the Great Divide National Scenic Byway to the heart of the Chequamegon National Forest 15 miles northeast of Hayward, Wisconsin. Here the Quiet Lakes country warmly offers you a variety of fine resorts, foods, services and activities. 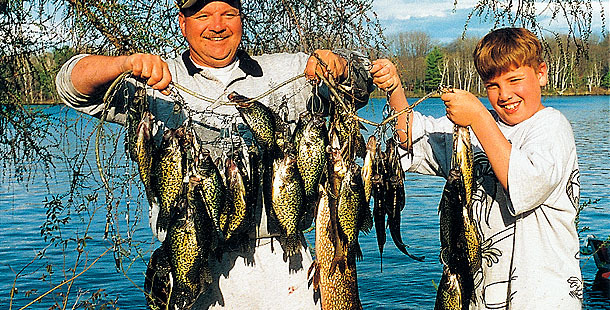 Escape to the beauty and peace of the Quiet Lakes…three sparkling gems set deep in the unspoiled forest and blessed with a 10mph speed limit (no motor size limit) prohibiting jet skis, water skiing & water tubing, ensuring undisturbed weed-beds for excellent fishing in a fisherman’s paradise. 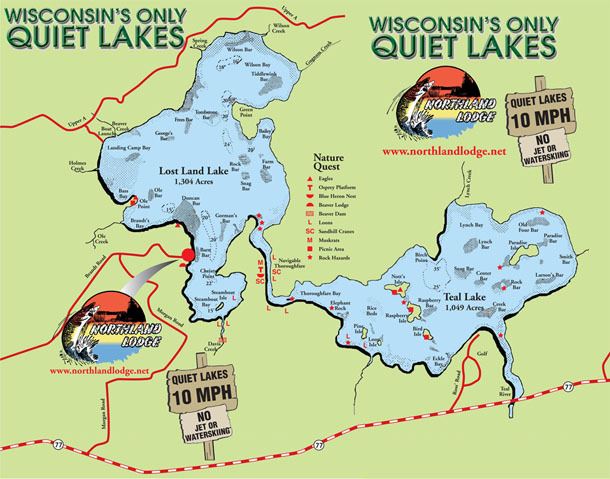 NORTHLAND LODGE sits on the shoreline of Lost Land Lake, a 1,034 acre Class ‘A’ musky lake. 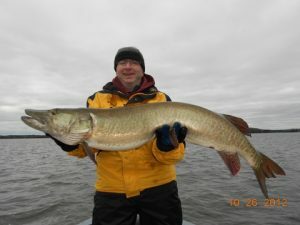 Your chances of catching a legal musky are the greatest on the Quiet Lakes nestled in Northern Wisconsin. Northland Lodge, Resort, Cottages & Cabins sits on the shoreline of Lost Land Lake located outside of Hayward, Wisconsin. 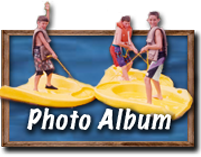 The protected Quiet Lakes are a great family vacation destination for relaxing annual vacations.